A Filbert has a flat ferrule with a rounded hair end. A versatile brush that gives a softer finish than the flats or brights. Neef 95 series is absolutely the best brush for acrylic painting with very resilient stiff bristles that snap straight back into shape. We also have a lot of oil painters who will only use this 95 series brush. Like all Neef brushes, if cleaned and stored correctly these brushes will give years of painting pleasure. 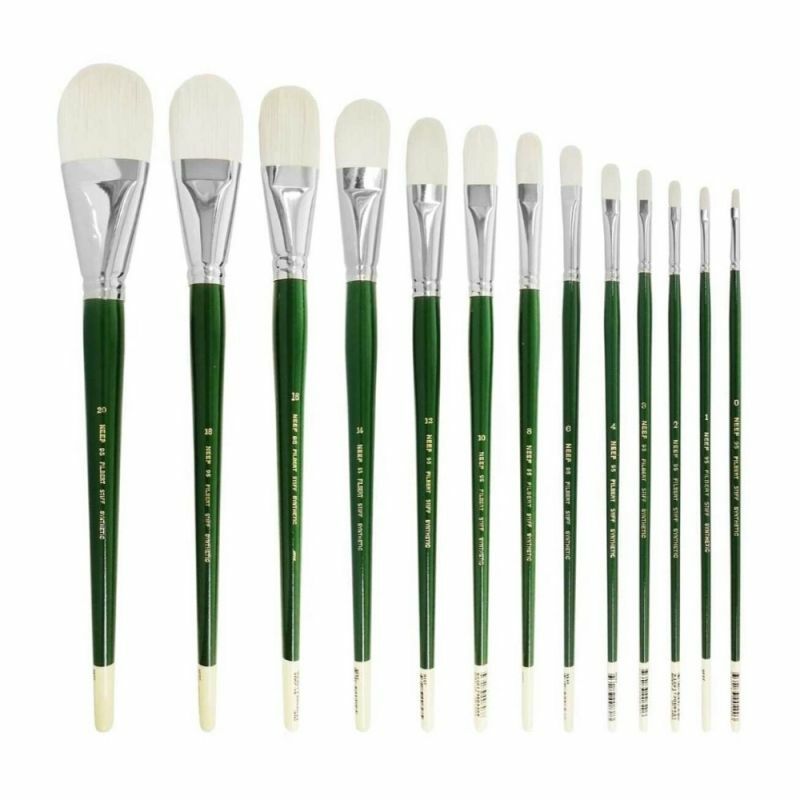 Our retail store customers love these brushes! !